Trimble’s is closed for the season but we are still raising our voice in support of our community. 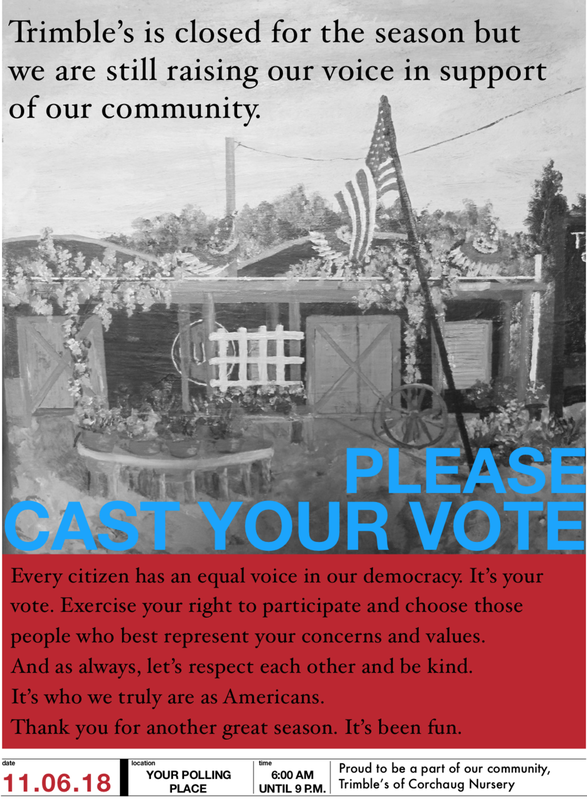 Every citizen has an equal voice in our democracy. It’s your vote. Exercise your right to participate and choose those people who best represent your concerns and values.